When someone you love is addicted to drugs or alcohol, it puts you in a difficult position. In addition, you may feel a range of emotions regarding your perception of a loved one’s alcohol or drug use. Guilt, shame, anger, contempt, or even avoidance can interfere with your desire to help. What complicates the matter further is that your loved one might not recognize there is a problem. Broaching the subject may spark conflict that makes a tenuous situation even worse. You may see the dangers of your loved one’s condition, but until he or she realizes them and accepts the risks of not seeking treatment, you’re on a wavering tightrope. Experts refer to drug or alcohol addiction as a brain disease characterized by “compulsive drug seeking and use, despite harmful consequences.” Although the reasons why people use substances vary, addiction happens when someone can’t control the impulse to continue abuse due to chemical changes in the brain and body. The National Institute on Drug Abuse reports that prescription and illicit drugs and alcohol contribute to more than 90,000 fatalities in America each year. Addiction is certainly a treatable disease. With the proper guidance and rehabilitation, hundreds of thousands of people stop abusing alcohol or drugs and once again enjoy productive, healthy lives. The red flags indicating addiction may be physical, psychological, or behavioral. A person may show some, a few, or many of these symptoms, to varying degrees of intensity. If all signs point to a drug or alcohol problem, arrange for a quiet time in a comfortable location. Minimize distractions or interruptions for this conversation. Then, confirm your loved one isn’t high or drunk to encourage the best chance for interaction. Ask if he or she is open to hearing your concerns. Do your best to maintain a calm demeanor and even tone. Although you have a right to feel upset or angry, you’re trying to create a bridge of understanding. If your loved one acknowledges your concerns, ask if he or she is willing to get professional help. Keep in mind that no matter how hard you try to show you care in a non-judgmental way, he or she may still get defensive or angry, or deny there’s a problem. If this happens, you may have to join with other concerned individuals to plan an intervention. 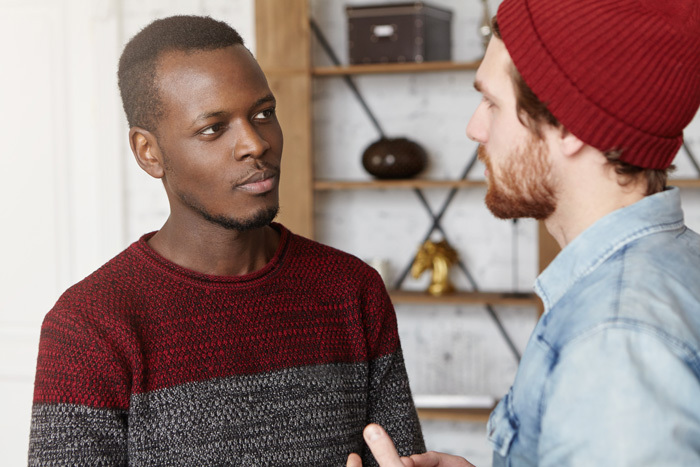 If your conversation doesn’t go well, your loved one is in serious danger, or if he or she is caught up in criminal activity, it may be necessary to plan and conduct an intervention. Reach out to friends or family members who can provide the same concern and support. Then, contact a professional with expertise in these matters, such as social worker, substance abuse counselor, psychologist, or physician. This individual can guide the intervention for the best possible outcome. If your loved one has a particular faith, a trusted religious leader may also be helpful. The structure of an intervention should include specific examples of concern, including any of the physical, emotional, or behavioral changes noted above. Participants will draft these issues ahead of time and refer to them using the proper tone and non-blaming language. There should also be a clear plan for treatment communicated during the intervention. The health professional may have resources for this, or work with you to research options for rehabilitation. Finally, make a declarative request that your loved one seek treatment. It’s possible he or she is ready to do this, and just needed guidance and support to move forward. Then again, denial may still be a strong component of his or her addiction. Factor in the consequences for refusing treatment and stand by them. Addiction hurts relationships. But through recovery, people can heal together. Our treatment center was founded by a family 45 years ago, and we can help your loved one regain control over his or her life in a way that has meaningful purpose. To find out more about services offered by Willingway addiction treatment in Georgia contact us 24 hours a day at 888-979-2140, and let us help you get started on the road to recovery. The Aviary Recovery Center: How to Know if Your Loved One Has an Addiction. English Mountain Recovery Center: Tennessee Alcohol Drug Rehab Treatment. Healthline.com: Approaching and Helping an Addict.